Black shiny wide leg culottes from elastic fabric. 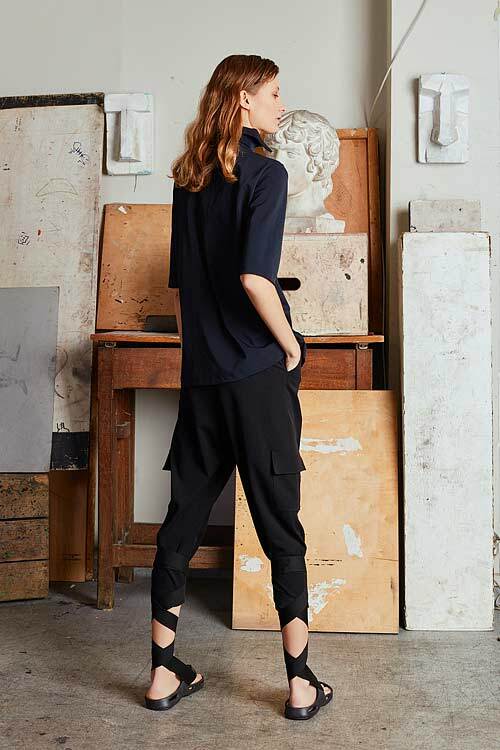 Culottes fasten with metal clasps and zipper in the front. It also has two classic pockets on both sides. Front of the culottes has wide pleats so it makes the silhouette even more skirt-like. Shiny viscose mix fabric is easy to take care, it is machine washable and can be ironed from inside or steamed. Viscose fabric on the inside makes it comfortable to wear. Plus polyester from the outside makes it very durable and wrinkle resistant. 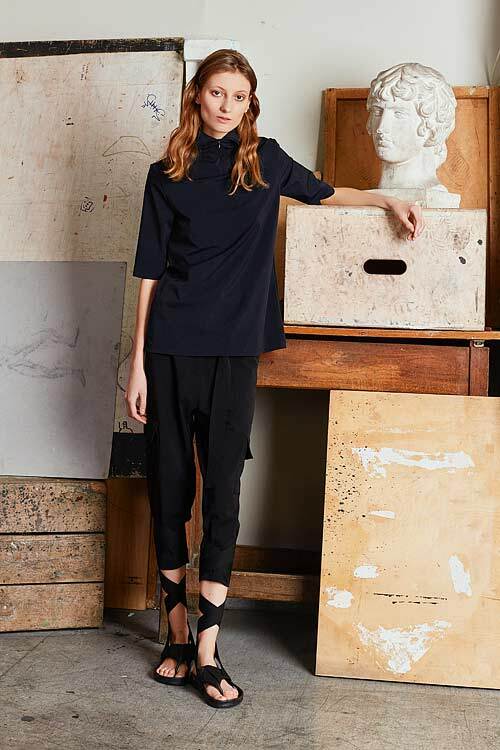 You can easily style culottes with different elements, it can simply be matched with a classical or casual look.